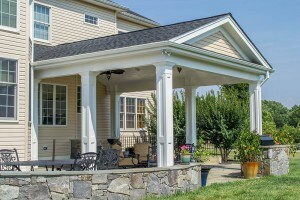 Specialty items are details within a project that can be as unique as you are. These projects can be, but are not limited to, custom built-ins, custom mantles, porticos, cupolas, exterior storage space, retaining walls, custom mailbox structures, detailed backsplashes, ceramic bath accessories, custom built-in window seats, custom trimmed posts, etc. Cossentino and Sons has more than 30 years of building and contracting experience, which is complimented by our attention to detail. Our owner and founder, Wayne Cossentino, has an eye for detail and a drive for perfection, and demands this not only from himself, but also from everyone who works with him. Cossentino and Sons specializes in room additions, in-laws quarters, kitchens, bathrooms, custom finished basements, custom detached garages, and major renovations. 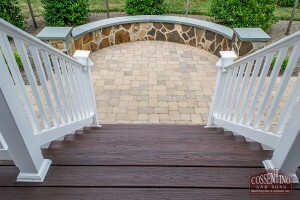 Our remodeling company is the best in Howard County and we also service customers in Baltimore, Carroll, and Anne Arundel counties, along with parts of Northern Montgomery County. If you have a special request or project, and are interested in working with experienced professionals who pay attention to detail, contact us today at (410) 442-0000 or email us today.